Try Tag Rugby’s last one-day festival of the year is on this Saturday, 01 November. The popular International Cup tournament takes place at Wasps’ Twyford Avenue Sports Ground in Acton, London. This tournament is a chance to bring together players from all across the capital to don their national colours and represent their nations with pride, whilst making a heap of new friends in the process and enjoying a brilliant after-party. The tournament kicks off at 11am and will feature a record 23 teams. London Australia will be represented in the Mixed A grade division with two teams and in the Mixed Intermediate division with one team. A combined Australian and New Zealand team known as the London ANZCAS will also be represented in the Mixed Intermediate division. London Australia are the reigning champions in the Mixed A grade division and will be looking to defend their title against an array of tough challengers. London Australia (Green): Shannon Bennett (c), Shane Hansen, Hamish Jones, Chris Jurotte, Arron Lombardo, Jayson Lombardo, Adam Stevenson, Lakeetta Attkins (c) Emma Becker, Sarah O’Neill, Teagan Southwell, Lauren Taylor. London Australia (Gold): Anton Aru, Hayden Baer, Vibeshan Dayalan, Isaac Guillen, Mark Lee, Matthew Lowe (c), Darren Sams, Elysia Atkins, Hollie Dunn, Monique Pontifex. London Australia: Engleman Thomas Chau, Peter Garlando, George Katralis (c), Jason Mable, Grant Maskell, Calan McIntosh, Jason Yadao, Tegan Cummins, Cherie Mable, Aly Moffat, Anna O’Brien. Other nations represented at the International Cup include: London Barbarians, London France, London Germany, London Ireland, London New Zealand, London Scotland, London South Africa, London USA & Canada, London Wales & Try Tag Rugby England. In other news, Try Tag Rugby’s winter season is commencing from 17 November onward at 10 venues across London. This season will feature between 10-12 fixtures (depending on the venue), with all leagues incorporating a three-week break during the Christmas & New Year period. The winter leagues cater to all standards of players from the elite to the complete beginner with most venues running a number of divisions. Registrations are open to teams, part-teams and individuals. With 183 teams currently playing in autumn leagues across London and far less venues available during winter, most leagues will sell-out. Make sure to register ASAP to avoid missing out! If you’re an Aussie new to London, if you get involved, you will make a heap of new friends, keep fit and have plenty of fun! We look forward to welcoming you to a Tag Rugby pitch soon. 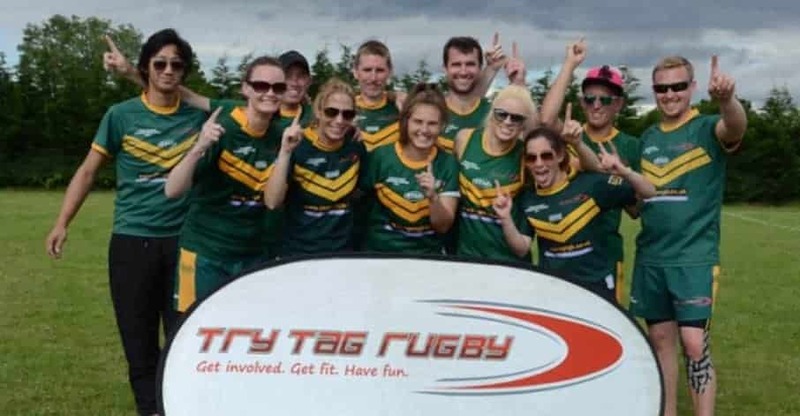 To register for a Try Tag Rugby competition or event, go to www.trytagrugby.com or email [email protected] for more details.